Free Spirit Nail Art is a nail polish blog with a focus on nail art and nail art related subjects! Good Morning! I hope your day is off to an excellent start! 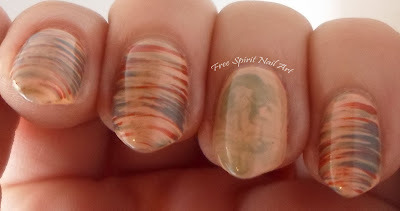 Today I'm sharing with you a very neutral mani (at least color wise). I started out with a nudish base color by China Glaze named Sunset Sail. 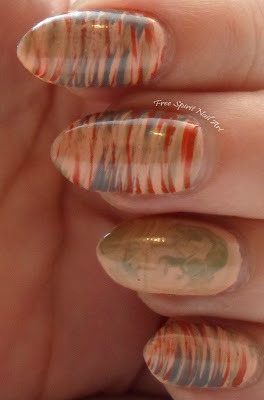 I then used a fan brush to paint stripes in green (Revlon Muse), a red brown (KleanColor Brown), and a gray that I mixed together using some old black and white polish I had laying around. 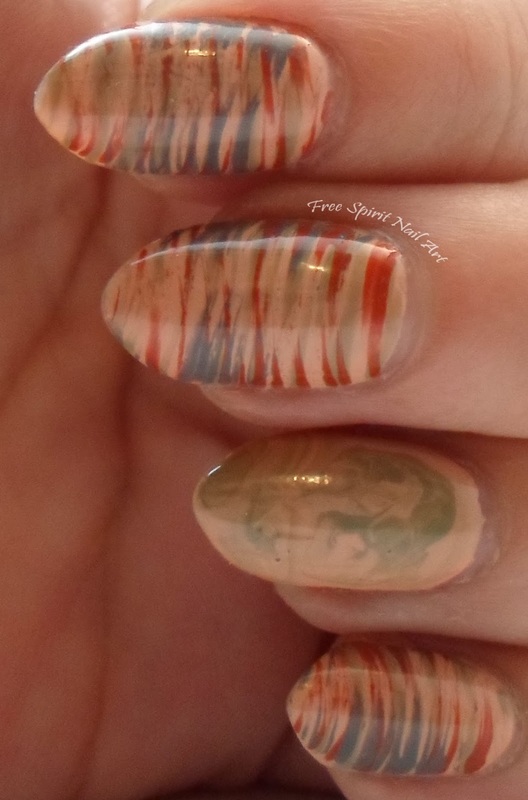 The accent nail is done with Revlon Muse and done by swirling together the the two colors while still wet on the nail using a toothpick. 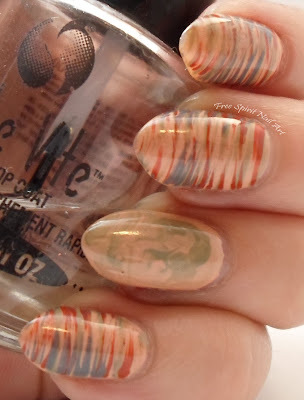 I used the same technique in a previous mani you can find here. I've really been wanting some China Glaze polishes for a while and my local Sally Beauty had them on clearance so I picked up a few and so far have been impressed. 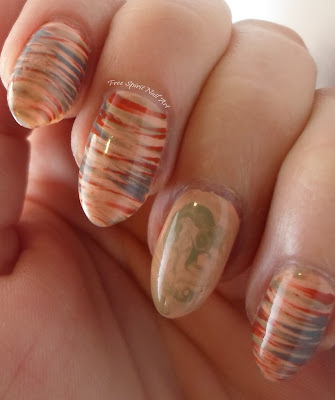 Other bloggers/diy nail art enthusiasts seem to love them and now I see why. 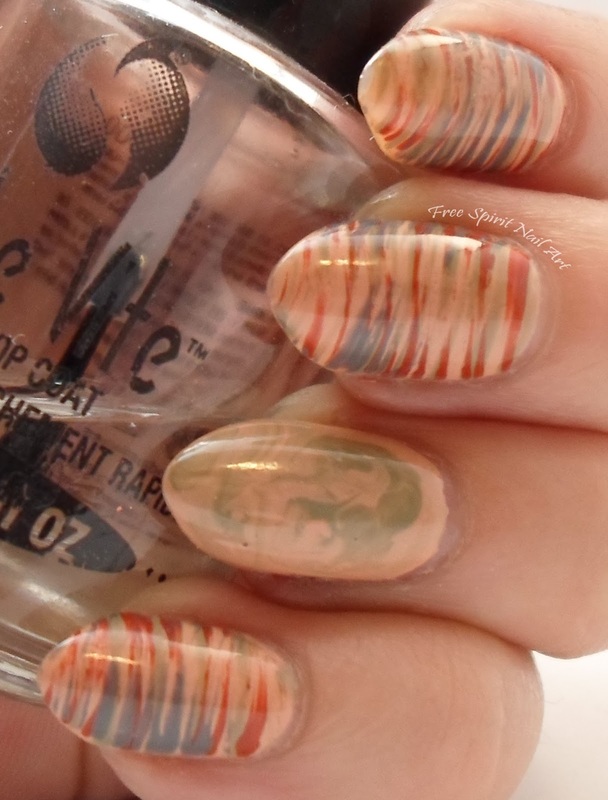 I of course sealed it all with a top coat of Seche Vite. It's very muted compared to what I normally wear so I wasn't digging this one as much as I think I might have in a diff color combo. What do you think? Leave me a comment below and please share it if you like it! 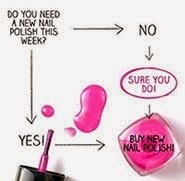 Do You Need A New Nail Polish This Week? 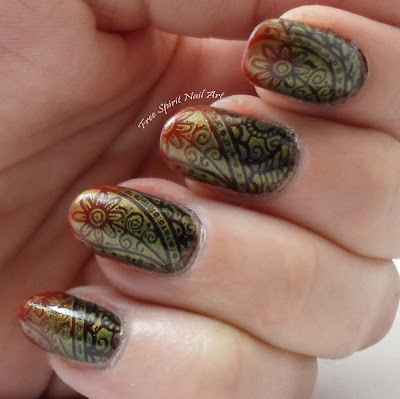 Green and Gold Mani... or... Dots or No Dots?